1. How long has your Coalition been around? The Coalition I’m in is called "I GUERRIERI di ZEUS" (The Warriors of Zeus). 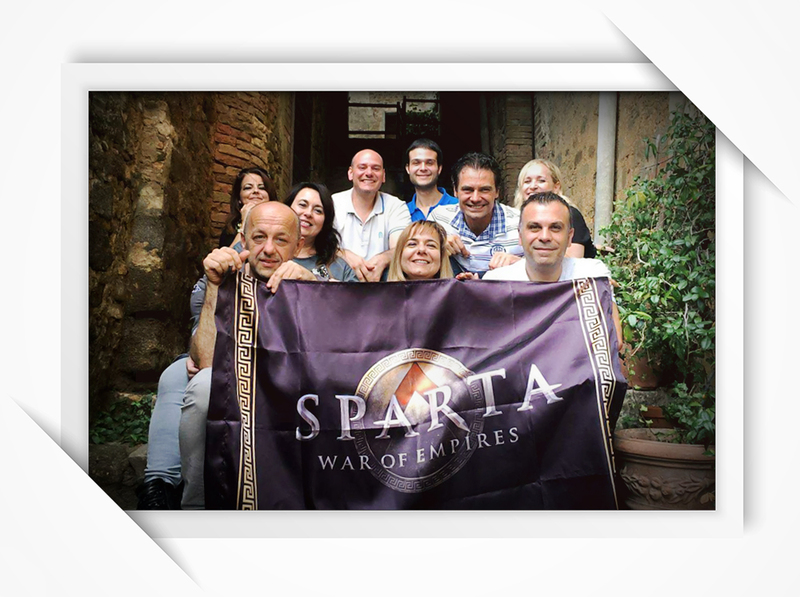 It was founded by Alessandro Fusani in 2014 and was the second Italian Coalition founded in the game. In our Coalition players are free to attack anyone. The only request we make is that members defend our Coalition Capital. We are a group of very united friends. Sure, sometimes we argue, but friendship always prevails and we soon go back to laughing with one another. As in all Coalitions, there are some players who are very active and others who are less active, but generally when we are launching attacks most of our players are present. Our Hegemon is Fabio Loi (who, we joke, is like a Sardinian goat) but in our Coalition decisions are always made after first listening to everyone's opinion. What I mean to say is that there isn’t a single leader but that we all coordinate with one another for the good of the Coalition. 2. How often do you all get together? We’ve had two gatherings so far, both in 2017. 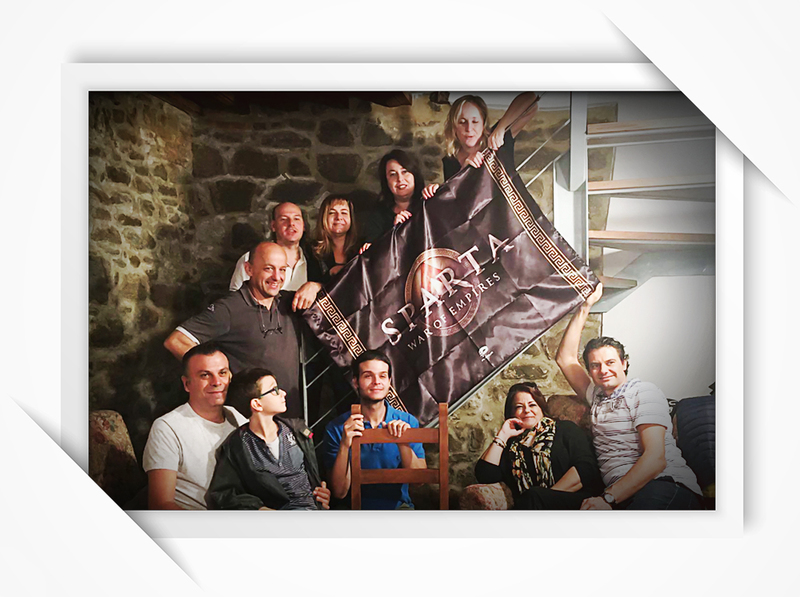 Our first took place in Montalcino, near Siena (Tuscany) from the 15th to 17th of September. 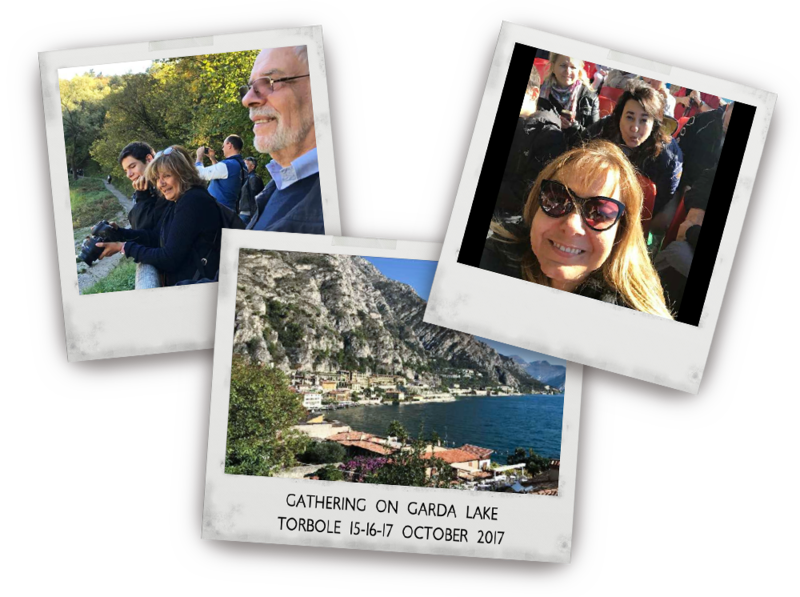 The second gathering took place from the 13th to 15th of October in a village called Torbole near Lake Garda. Not many members could come this second time, there were only nine of us in total, but it was still a great time. We took a boat ride together and went on a hiking expedition. 3. How many players took part in your first gathering? 15 players from all across Italy came to our first gathering. 4. Who organizes your gatherings? How far in advance do you plan? I’m one of the organizers of our gatherings and we generally start planning about two months in advance. 5. Did you face any difficulties when organizing the gathering? Yes, there were some difficulties, mostly to do with the long distances that many members had to come to attend, but the friendship that was created as a result made it all worth it. 6. Do you like the flag you received? The flag was very much appreciated by the participants and everyone raced to try and be the first to have a photo taken with it. 7. What did you like most of all about your gathering? The most beautiful thing about our gathering were the smiles of the participants, most of whom had never before met in real life. We ate, drank, and joked together, as well as visited some of the beautiful places that Tuscany has to offer. We also shared with each other some of the typical foods you’ll find in each of the regions we’re from - things like cheese, wine, salami, cookies, etc. It was a great time. 7. What kind of suggestions can you give to other players who want to organize a gathering? Gatherings are a great opportunity to get to know other players personally. They allow you to talk about the game but also about real life. In our case, we were even able to visit some beautiful areas of Italy and share some delicious meals together.